South of Eskdale Green, in the western Lake District, a minor road leads over Birker Fell towards Ulpha. 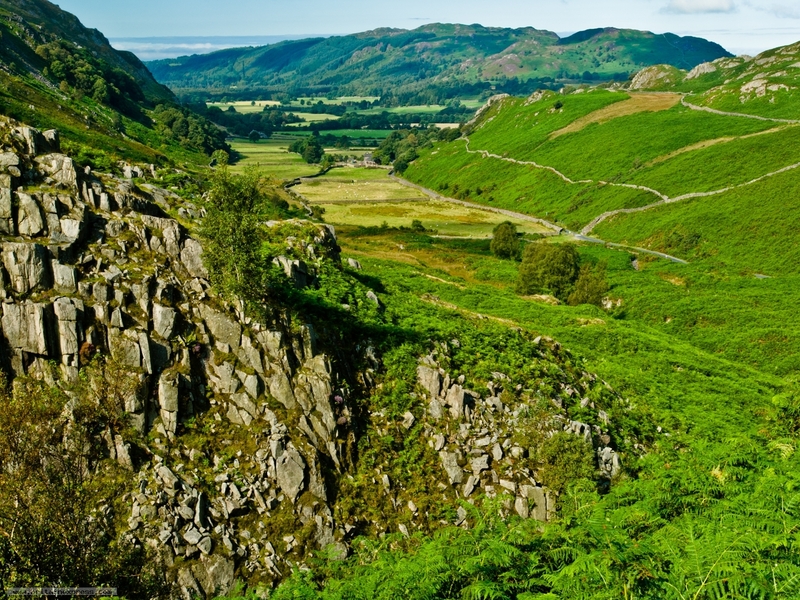 Along the way it passes through some of the best - and most unexplored - scenery in the Lake District National Park. The views are magnificent, like this, looking back down into Eskdale from the slope of the fell.